How about a little two-wheeled goodness for the Online Classifieds Car Show?! These bikes were never officially imported to the US (at least not for street use) and as such, are termed ‘Gray Market’. I’ve always had a soft spot for gray market two strokes and always wanted a Aprilia RS250, but an NSR 250 would be a close second. And at $6300, with a title, not a bad deal! NSR-World – All things NSR! 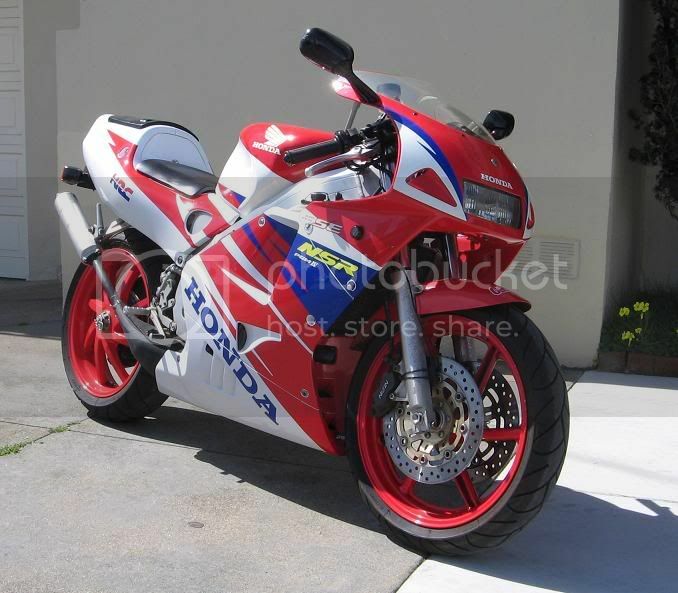 Jamie’s NSR Page – Loaded with NSR details, pictures, specs and more. 1990 Honda RC30 at Red Label Moto in Seattle. A stunning motorcycle and a rare opportunity to snag one in this country. Original asking price was over $20k new, and this one is up for $21k! Pretty steep, but according to this article from 2003 at Motorcycleusa.com on the RC30, a pretty typical price.